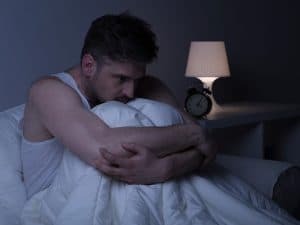 Although benzodiazepines are generally viewed as safe and effective for short-term use, long-term use can easily lead to physical dependence, and withdrawal is notoriously difficult and unpleasant. Whatever your addiction, New Leaf Recovery is here to help. It can sometimes be difficult to accept that we can develop an addiction to medication prescribed to us by a doctor. They replaced the barbiturates which had been commonly prescribed for 50 years up to the 1950s, but which were addictive and very dangerous in overdose. Benzodiazepines all work in a similar way. The shorter-acting ones have been marketed as sleeping tablets – the idea being that you don't get a fuzzy head the next day. The longer-acting ones have been marketed for their use in controlling anxiety. They boost the effect of a substance in the brain – called GABA (Gabba Amino Butyric Acid). This is a neurotransmitter – a chemical which is used in the brain to control the passage of messages from one cell to another. GABA has a generally calming effect in the human brain. Have blurred vision, sensitivity to light. Due to the severity of benzodiazepine withdrawal symptoms, if you feel you are addicted it is inadvisable to attempt to detox by yourself. New Leaf provides expert clinical support and a safe environment all the way through. “The New Leaf treatment programme tested me in ways I have never been tested before – mainly in being honest – firstly with myself and then with others around me."